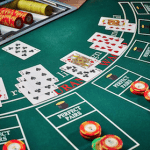 As the most popular casino game in the world, it’s no surprise blackjack has seen a variety of custom rule variations over the years develop into their own fully-fledged games. But while there are many different versions of this popular game now readily available, the core premise always remains the same: score 21 or as close to 21 as possible without busting. The majority of blackjack games are played with the same basic rules and easy to learn, but a number of type variations have eclipsed the traditional 21 template in popularity. For online blackjack, you can learn more about our top-rated online 21 games here. European Blackjack is one of the most commonly played blackjack versions in casinos in Europe. As one of two traditional variants of the game, this is a primary ruleset every gambler should be familiarised with. Along with American Blackjack, European Blackjack conventions and rules are the established default paradigm many other variants follow, but as a result many of the alternative rulesets were shaped to offset the various unfavourable rules present in European blackjack. Two standard decks of cards are always used with a shoe. No hole card game — dealer does not peek for blackjack. The dealer must stand on Soft-17. Blackjack payout is fixed at 3 to 2 odds. If both the Dealer and Player have a natural blackjack, it’s considered a push. Dealer’s blackjack always wins over any other hand of 21. The dealer will not draw a second card until you have played your hand. We can only double down on hands with a combined total value of nine, 10 or 11. We can only split a hand once a round. We may split alike valued 10-cards; Queen and Queen, not Queen and Jack. We cannot opt to surrender our hand to salvage half of our bet. Pontoon is our home-grown variation of blackjack with its own special rules and terms. Very similar to Spanish 21, Pontoon changes the traditional game significantly and has heaps of bonus payouts to entice newbies to try it out at least once. Hitting 21 is called a “Pontoon” rather than “Blackjack”. A “hit” is called a “twist”. A “stand” is called a “stick”. A “double down” is called a “buy”. “Early surrender” is called “double down rescue”. 10-spot cards are removed from the six to eight Spanish decks used. Your pontoon (21) always beats the dealer’s pontoon and wins immediately. Pontoon dealers have no hole card, meaning you cannot determine whether or not the dealer has a natural Pontoon (Ace and a 10 valued card) until they draw their second card after the round ends. The dealer must always hit on Soft-17. You can split up to a maximum of two times, depending on the casino. You can only double down on a hand with 9 to 11. If doubling a soft hand, the Ace must count as 1. Early surrender, called “double down rescue” is offered on double bets; you must forfeit an amount equal to your original bet. Late surrender is offered only when the dealer’s upcard is a ten or an Ace; but if the dealer hits blackjack, you still lose your entire bet. Aside from our very different homegrown Pontoon, most regular games of Blackjack played here in Australia widely follow European rules, as our dealers do not take a hole card. However, in Australian Blackjack, four further variables come into effect in relation to its NHC rules when a player doubles or splits and the dealer gets a blackjack. Because some of the following rules are unique to Australian versions of Blackjack and Pontoon, make sure to familiarise yourself with them as they are not present in conventional games of 21. Note: These rules are applied after the dealer has removed all busted bets, all winnings from hands totalling 21, and all forfeited hands. OBO (Original Bets Only): If the dealer draws blackjack, you lose your original bets only, regardless of any additional wagers you made. Under this rule, you can double or split without worrying about losing anymore than your initial bet. This is essentially like American Blackjack’s rules, where the dealer checks for blackjack immediately upon an Ace or 10 upcard. OBBO (Original and Busted Bets Only): If the dealer draws blackjack, you lose any hands you have busted, plus one bet from each split hand remaining. If you have not split, you lose just the one bet. No penalty is taken from any double downs. BB+1 (Busted Bets Plus One): If the dealer draws to blackjack, you lose any hands you have busted in addition to an amount equal to your initial wager, even if you have multiple split hands in one box. ENHC (European No Hole Card): If the dealer draws blackjack, the player loses every wager on the table. This is the worst rule as it offers no compensation on a dealer natural. BB+1 is the more common of the three rules in Australian Pontoon. Are USA players better than Aussie players? Blackjack payout is 3 to 2 odds. *The sole exception is Crown Casino in Melbourne, VIC, which changed their rules to make dealers hit on Soft 17. Number of times we can split a hand per round. Whether we may split alike valued 10-cards; Queen and Queen, not Queen and Jack. Whether Aces can be resplit. American Blackjack is not its own standalone variation of 21 like European Blackjack, but rather a term used to encompass all of the subtypes of the game which have been created within the country. While there are brick and mortar casinos which offer up games of ‘vanilla’ American Blackjack, these are rare and most games based on American rules usually incorporate their own unique side bets, minor rule changes or otherwise follow the established subtypes above. Atlantic City Blackjack is the self-titled variant of blackjack played in Atlantic City, New Jersey and is naturally the most prominent game of 21 on the Eastern Coast of the United States. It retains the basic blackjack conventions while offering player-favourable rulesets, making it a popular choice with many gamblers, but many live tables alter the payouts to 6 to 5 odds, which everyone should always avoid. Eight standard decks of cards are always used with a shoe. 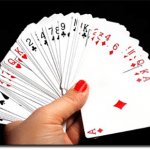 Hole card game — dealer peeks for blackjack on 10s and Ace upcards. Blackjack payout is 3 to 2 odds, and sometimes 6 to 5 odds. 21 on split Aces cannot count as a player blackjack. We can double down on any hand total. We can double down after splitting. We can split hands up to three times, making four total hands. We can split Aces only once, and only take on card to split Aces. Unlike 10-valued cards can be split; 10-card and Jack, etc. Vegas Strip Blackjack is the crowning champion of games of 21 in Las Vegas casinos. It is virtually identical in conventions, payout and rules to Atlantic City Blackjack with two exceptions: four decks are used instead of eight, and late surrender is not allowed. Four standard decks of cards are always used with a shoe. Late surrender is not allowed. Dealer hits on Soft 17. Double Attack Blackjack is a very different game of 21 for those looking for an engaging alternative and is widely available, particularly in Atlantic City, where half of the venues host the game. If you want a really different ruleset, this is for you. Eight Spanish decks of cards are used with a shoe — 48 cards without the four 10s. Hole Card game, but dealer only peeks for blackjack when we take insurance. All cards but Aces can be resplit to 3 or 4 hands. Split Aces receive one card. “Double Attack” is available after the dealer draws their first card; we may raise our wagers up to double the amount of our original bet. “BustIt” side bets are available; pays out if dealer busts on their third card. Blackjack payout is fixed at 1 to 1 odds instead of the usual 3 to 2. Insurance payout is 5 to 2 odds. With an accurate and alluring name, Super Fun 21 is an extremely liberal alternative to traditional blackjack. With less decks used and some forgiving rules (player blackjack always wins), it’s a good starting point for newcomers looking for something other than typical blackjack. One, two or four standard decks of cards are always used with a shoe. The dealer must hit on Soft-17. Blackjack payout is even money. Blackjack made with diamonds pays out at 2 to 1 odds. 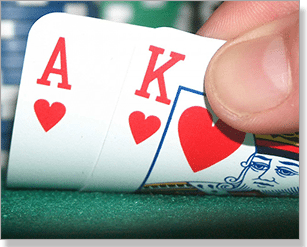 21-point hands with five or more cards are paid out at 2 to 1 odds. Our blackjack or two-card natural always beats a dealer’s blackjack. Hands with a total of 20 or less with six or more cards win even-money automatically. We can split hands, including Aces, up to three times, making four total hands. We can hit and double down on split Aces. Face Up 21 is a version of blackjack where both the dealer and player’s cards are dealt face-up. It’s also well known as Double Exposure or Dealer Disclosure, and if you’re after a very different game which changes up basic strategy in a dramatic way — everything’s exposed! — this is it. Six to eight Spanish decks of cards are used with a shoe — 48 cards without the four 10s. Our cards and the dealer’s cards are always dealt face up and exposed. Dealer’s blackjack always wins over our blackjack on all ties. Our blackjack only wins on ties if it’s a two-card natural blackjack. We may only double down on a hand of 9, 10 or 11. We may split a pair only once. The dealer can either hit or stand on Soft-17, but the majority of games make dealers stand. Spanish 21 is a popular American variant of the traditional game of blackjack. Spanish 21’s two main differences from typical blackjack is a player’s blackjack always beats the dealer’s blackjack, and it’s played with a 48-card Spanish deck rather than the standard 52-card deck. A unique unlicensed version of Spanish 21, called Pontoon, is an extremely popular game here in Australia and parts of south-east Asia. Locally, Pontoon has eclipsed Spanish 21 in popularity, but the latter is still a popular game. 10-spot cards are removed from the six to eight 48-card Spanish decks used. If the dealer peeks a ten hole card, players lose unless they have blackjack. We can opt for late surrender anytime, even after doubling, hitting or splitting. Splitting is allowed and you can re-split three more times, including Aces. We can double down on any number of cards. We can hit or double down after splitting any two cards, including Aces.